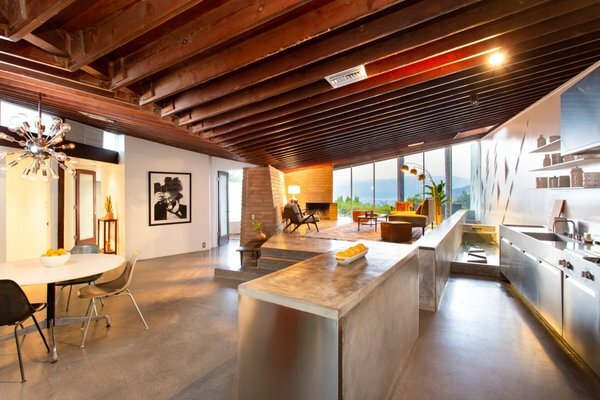 The Bergren Residence boasts hallmarks of iconic Lautner design, including a striking roofline, walls of glass, and breathtaking hilltop views. 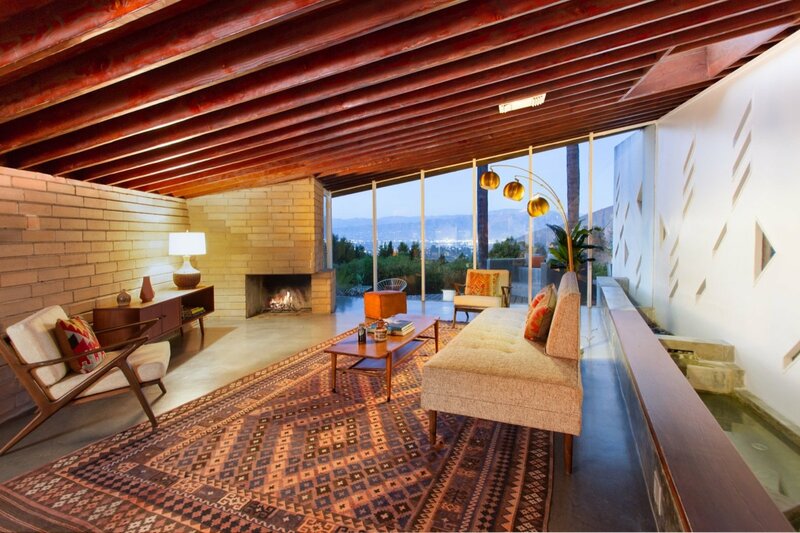 With a prolific career that spanned nearly 60 years, acclaimed American architect John Lautner has left his mark across Southern California. As one of the original Taliesan Fellows, Lautner imbued his works with lessons learned from Frank Lloyd Wright, including an “organic architecture” approach, which can be clearly seen in one of his earlier works known as the Bergren House. Luckily for us, this property has just hit the market for $1,999,000. The exposed redwood beams have been stripped of layered paint and carefully restored for a natural look. An indoor water feature runs along the length of the living room. 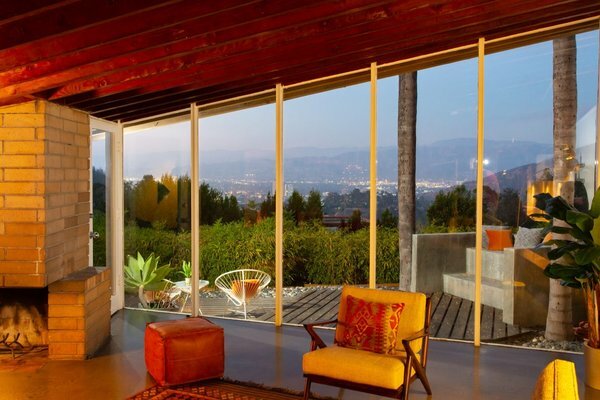 Nestled in the Hollywood Hills just above Runyon Canyon, the Bergren Residence boasts sweeping views of the San Fernando Valley.